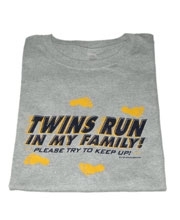 Twins Run in My Family Womens T-Shirt Discounts Apply ! 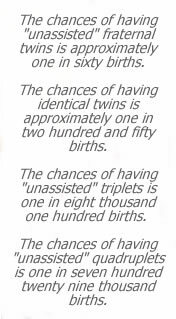 We know that when people ask "Do Twins Run in Your Family" this isn't exactly what they mean. We came up with the idea after we'd been asked the question for the 500,000 time while at Sears as our then-toddler twins decided to go running through the appliance section in two -of course - different directions. The perfect shirt for any Mom, Grandma, or Aunt of active wobblers, toddlers, preschoolers, school years, and beyond.